“With great happiness I am directed to reveal a special program that will be available to some of our family of aspirants. 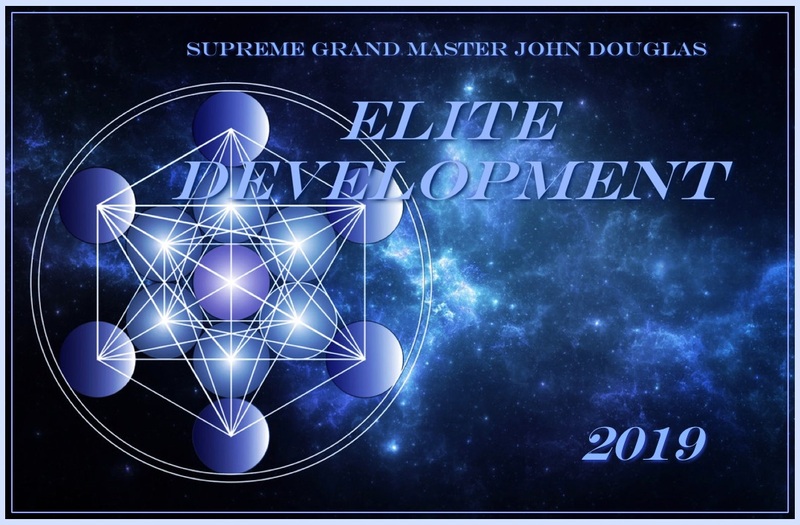 Many lines on the chart of life, many paths in the flow of time, and much expansion of consciousness that has been created by you and all the true ways of oneness have confluenced in worthiness to allow the Elite Development Training to be given to those chosen by the Master Angels. When you have grasped the mission of the Church of the Master Angels, when you have shed all your layers of doubt, conditioning, interference and ego, unruly emotion and tendencies, you know that the miracles witnessed by the world in personal spiritual and health improvement with the Church of the Master Angels are here to accelerate consciousness and improve the sum of all life. The new paradigm of the Church of the Master Angels, the down-pouring of divine grace and all that it contains, is building on the work of the previous great teachers and masters of our times. Propelling us forward into deeper faith and oneness, ability and power to order the ordered, organize the organized and solidify the true divine plans into this plane. You have witnessed the extension of truths in the Church of the Master Angels. The great gift of witnessing the particle level of matter. You have seen many miracles of the Divine Right to destroy nature for the sake of nature. You have seen many discoveries the Masters have given us to defend our existence in this world we have created. And you have seen the divine will of nature create inconsistency, contradiction, difference, reasons to override truths and change laws, etc. What seems is often not. What is not known often is. With my best service in all the weight of physical matter, with every utterance of the Masters words, we work to create such unity and oneness in you so you may live in knowingness. Your knowingness. Receiving from the divine spark of all matter, that which you need to know. Reconciling your knowingness, oneness, non reaction, non interference etc, with the demands of modern life can be done. It must be done, for this is the test of these times we have chosen to inhabit. This event will be held over three days. The processes will be given, the healings and transformations will be done, and some practice and dedication will be required to fully realize the gifts. John has set strict limits on the number of participants for each Course. Some weekends may reach capacity, so we recommend you keep all three weekends open at this time. There is a free training class offered on the Monday after each Elite course that is open to all Elite graduates whether they are attending the courses this summer or not. John was very clear that he doesn’t want anyone to worry about which weekend they attend. Every Elite Development Course weekend will be amazing. Application Process: In order to attend the Elite Development Training, everyone must apply by filling out the Application Form and be accepted. Click the “Go to Application” button below to access the Application Form. Admission: Seating is limited. The training is “first come, first served” based on fulfilling all of the admission requirements including the financial commitment described below. The Global SELF Foundation: The Elite Development Course is sponsored by the Global SELF Foundation, a non-profit 501(c)(3) organization as per the Tax Code of the Internal Revenue Service. The Global SELF Foundation is dedicated to supporting alternative health and self discovery methods, including technologies and solutions to eliminate physical and psychological challenges, nurture the self-development and self-awareness of the individual, and supporting research that furthers these goals. The Elite Development Course was originally proposed as a special course to thank major Global SELF Foundation donors for their generous support. However, many others, who were not Global SELF Foundation donors, expressed a sincere desire to attend the Elite Development Course as well. The financial commitment details described below emerged as a way to invite others to make a significant donation to the Global SELF Foundation and potentially gain the opportunity to participate in this life-changing Elite Course. Financial Commitment Details: The financial commitment consists of a donation to the Global SELF Foundation of at least $9,500 prior to July 15, 2019 and the payment of the Course fee. The Course fee is $500 if the Global SELF Foundation and Course fee are paid by bank wire transfer on or before July 15, 2019, for a total financial commitment of $10,000. Alternatively, if paid by credit card via PayPal, the Course fee is $800, for a total financial commitment of $10,300. All payments must be received in full by July 15, 2019. We anticipate the Elite Development Courses will fill up quickly. Last year, the Courses sold out early. Wire transfer and other payment details will be sent upon acceptance.